This was made when I went to a Stamp-A-Stamp afternoon with my daughter DawnMarie. My sister-in-law Deb is a Stampin' Up Demonstrator and all the products used here are from Stampin' Up. We get to use her equipment and she is always willing to teach us how to do different techniques. Thanks for looking at my latest Christmas cards. Love your stamping. Beautiful card. I love how the white tree stands out! 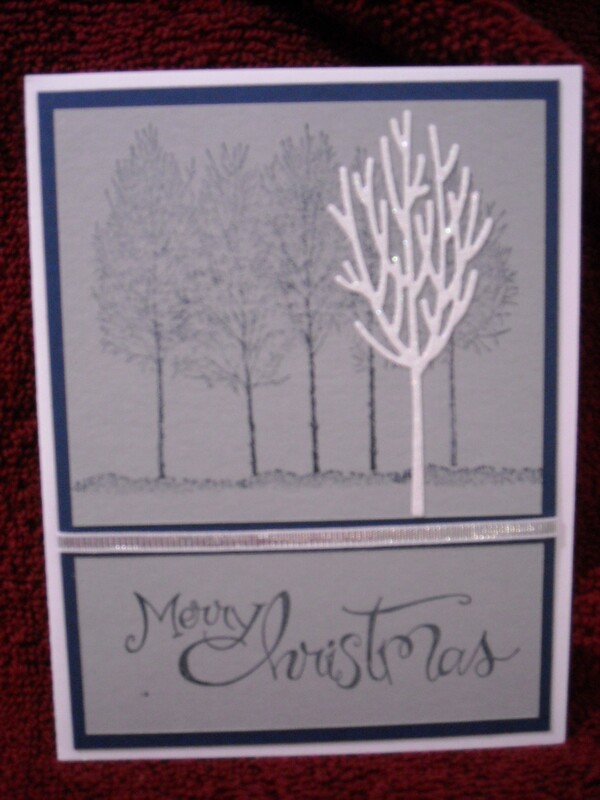 Love the "tree" against that beautiful stamped background!!! Really like the one stark white tree in front.